Dabbling in numbers for a living while dreaming of words all the while. 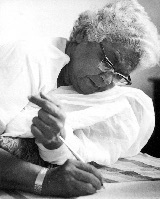 Posted on September 11, 2015, in 5*, Beauty, Feminism, Fiction, Indian Authors, Life, Short Story, Women and tagged Ismat Chughtai, Lihaf, Naseerudin Shah, Short Story, Women authors. Bookmark the permalink. 3 Comments. You do get to read some fabulous books…WOW ! I may not tell you this often, but your book reviews are mesmerizing. Ismat aapa is one of my favorite writers and your tribute to her is brilliant !